C&G Law was a nominee for Philippines’ Law Firm of the Year in 2015. C&G Law was a finalist for Philippine Project Finance Deal of the Year and Philippine Deal Firm of the Year in both 2014 and 2015. The rankings on C&G Law released by the Chambers Asia Pacific are highlighted below. Versatile practice with core expertise in merger transactions and share-based acquisitions and dispositions. Areas of strength include public bidding and project structuring. Caters to an impressive roster of clients in the energy, natural resources and media industries. Dole Philippines, Pilipinas Shell Petroleum, Skycable, Sony, Unilever. A robust team, able to advise on the full life cycle of a dispute. Noted for arbitration expertise, assisting particularly frequently with ICC-administered arbitrations, and recognised for its representation of leading conglomerates. Also well equipped to handle Supreme Court litigation. The team continues to garner recognition and respect in the market for its activity in the infrastructure and energy arenas. It is particularly highlighted for its project finance know-how along with its noteworthy experience in PPP projects. It advises both public and private sector clients, including government bodies, significant financial institutions and major corporates. Remains prominent in tax disputes, with notable experience in challenging tax assessments. Also offers considerable expertise in advising clients from the energy, manufacturing and pharmaceutical industries. 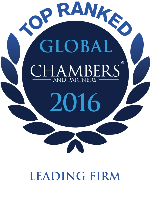 The rankings on C&G Law released by the Chambers Global are highlighted below. The ‘outstanding and very responsive’ practice at Gatmaytan Yap Patacsil Gutierrez & Protacio provides ‘very good advice’. Jaime Gatmaytan (a ‘star’ with ‘deep market knowledge’) leads the team, which includes Norma Patacsil and Mary Mundin. The ‘very quick’ Anthony Gutierrez and the ‘careful, attentive’ Jesus Protacio are the key partners at Gatmaytan Yap Patacsil Gutierrez & Protacio. The ‘highly knowledgeable, responsive’ team advised Metro Railway Transit Corporation in a claim against the Bureau of Internal Revenue (BIR) regarding a wrongful tax assessment. Gatmaytan Yap Patacsil Gutierrez & Protacio’s ‘creative’, ‘highly knowledgeable’ team includes key partners Jesus Protacio, Cesar Santamaria, Jr., the ‘sharp, trustworthy’ Ben Yap and the ‘very quick’ Anthony Gutierrez. The ‘prompt, supportive’ department at Gatmaytan Yap Patacsil Gutierrez & Protacio is led by Cesar Santamaria, Jr.; he and Norma Patacsil have ‘superb knowledge of employment matters’. Philippine AXA Life Insurance Corporation is a key client. Gatmaytan Yap Patacsil Gutierrez & Protacio houses a number of ‘experts in their field’, including Jaime Gatmaytan, Ben Yap and Jesus Protacio. Aboitiz Power and First Gen Corporation are clients. The team at Gatmaytan Yap Patacsil Gutierrez & Protacio advised International Finance Corporation and Development Bank of the Philippines on a bid to operate and maintain the LRT Line 2. Jaime Gatmaytan leads the practice, which includes Norma Patacsil. Gatmaytan Yap Patacsil Gutierrez & Protacio’s department advised Pearson on its Affordable Learning Fund’s capital infusion into Affordable Private Education Center, and acted for Ayala Healthcare Holdings on its PHP400m purchase of a 50% stake in a local pharmacy selling generic pharmaceuticals. Jaime Gatmaytan, Norma Patacsil and Mary Mundin are the key partners. Well regarded for work across a variety of industries and experienced in assisting with asset and share acquisitions. Frequently advises on a range of corporate matters in the energy and mining sector. Offers considerable expertise on real property acquisition and development matters. Aboitiz Equity Ventures, APO Production Unit, Holcim, JV Angeles Construction, Pearson. Skilled litigation team with breadth of experience in handling large commercial disputes. Noted for arbitration expertise, assisting particularly frequently with ICC-administered arbitrations, and recognized for its representation of leading conglomerates. AP Renewables, CE Casecnan, Energy Development Corporation, Green Cross, OceanaGold. Advising both public and private sector clients on their participation in PPP infrastructure projects in, amongst other areas, the transportation, reclamation and flood control spheres. In addition, well regarded for its skilled handling of project finance mandates, particularly in the energy sector. Aboitiz Land, AC Infrastructure Holdings, APO Production Unit, Development Bank of the Philippines, JV Angeles Construction Corporation. Experienced team with strong tax dispute capabilities. Also offers considerable expertise in advising clients from the energy, manufacturing and pharmaceutical industries, and is recognized for its proven track record in challenging tax assessments. Aboitiz, CalEnergy, Holcim, Green Cross, STEAG State Power. Gatmaytan Yap Patacsil Gutierrez & Protacio was involved in several large matters; in one highlight, Jaime Gatmaytan advised a consortium of four real estate conglomerates on the Laguna Lake Expressway–Dike Reclamation project, the Philippines’ largest PPP project to date. Gatmaytan Yap Patacsil Gutierrez & Protacio’s team is ‘knowledgeable, responsive and easy to work with’; Jaime Gatmaytan is among the partners singled out for his ‘practical advice’. One highlight was advising consortium APO Agua Infrastructura on a $267m joint venture with the Davao City Water District to design, construct and operate a large water treatment facility. Anthony Gutierrez is the chief tax partner at Gatmaytan Yap Patacsil Gutierrez & Protacio; he and Jesus Protacio represented Metro Railway Transit at the Court of Tax Appeals regarding wrongful tax collection. Gatmaytan Yap Patacsil Gutierrez & Protacio provides ‘good value for money’; Ben Yap is ‘client friendly and responsive’, and Jesus Protacio is ‘very sound technically’. Clients include First PV Ventures and First Philippine Electric. Gatmaytan Yap Patacsil Gutierrez & Protacio advises banks and institutions on structuring loans, and regulatory and compliance issues. The team assisted APO Agua Infrastructura with financing the construction and operation of a large water treatment facility in Davao. The team at Gatmaytan Yap Patacsil Gutierrez & Protacio acted on M&A transactions in various sectors; it advised Ceneric (Holdings) on the sale of all its shares to Cosmic Technologies.